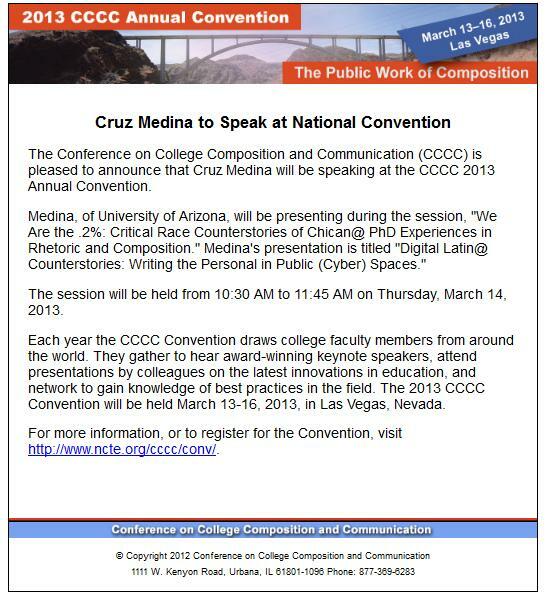 Academia de Cruz Medina: Ohio Gov. 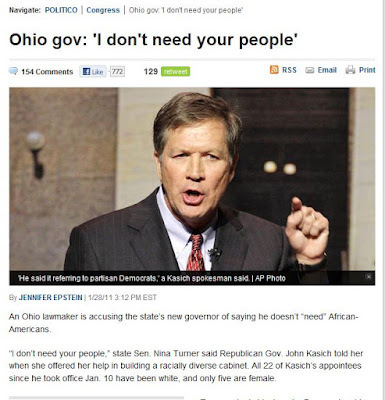 John Kasich: "I don't need your people"
An Ohio lawmaker is accusing the state’s new governor of saying he doesn’t “need” African-Americans. “I don’t need your people,” state Sen. Nina Turner said Republican Gov. John Kasich told her when she offered her help in building a racially diverse cabinet. All 22 of Kasich’s appointees since he took office Jan. 10 have been white, and only five are female.